Starting to realise if we didn't try harder soon we'd have no where to sleep on our first night, we tried and tried and tried to get our two tents up - we was sharing in two's and looking back I'm glad we did, trying to put two tents up was hard enough, let alone trying to do four! We followed the instructions, inspecting them closely and over and over again to ensure we'd not missed a simple step, but for some reason, our tents just didn't look right, a few of us called our dad's - the ones who usually do the tents whilst we'd been camping with the family, but without being there, they couldn't work out the situation we was in - if only we'd opted for pop up tents! Eventually, with the help of an older group of festival goers, we finally got our tents up, at 1:20am in the morning! We'd missed the best part of the campsite welcoming party, and was grateful for the group that missed out too to help us - looking back I dread to think of what we would've done, none of us drove back then and had all caught the train down so we couldn't of even slept in a car if it come to it! After our first experience, we made sure every experience after that was not as stressful, and here is where I share my tips with you! 1: Practise putting up the tent you're camping in before the camping trip! Everytime you get a new tent, or even if you've not put up the tent for a while, I can tell you this will be the best thing you'll do to make sure your camping experience starts off with ease! If you've got a big tent, you may need to borrow someone's garden to practise in. Practise a few times if you need to, and make sure you get use to the best way of not only getting the tent up but down too - there's nothing worse then wanting to get off quickly on the Monday morning but you're struggling to take the tent down quickly without causing any damage. 2: Make a list of everything you need for a successful camping trip. There's nothing wrong with being too prepared, and if that means doubling up on some items then so be it. 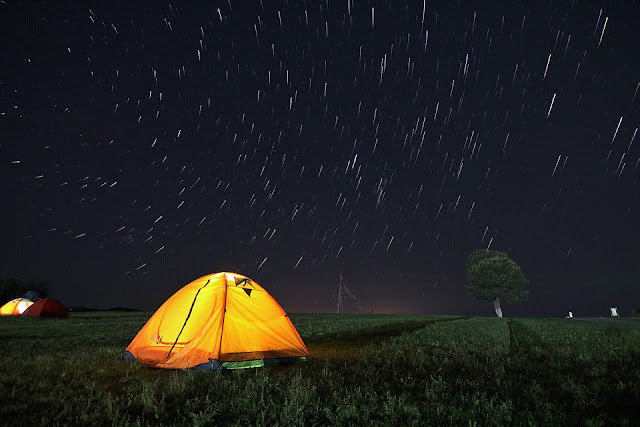 There is nothing worse than being on a camping trip, and something goes wrong, you've accidentally left the tent pegs at home and you're in the middle of nowhere - what are you going to do!? Thankfully, if you prepared yourselves for such, you'll have a spare set of pegs on you and will be thankful you listened to my advice! 3: Go for comfort, and not the price. I've had so many camping trips I've lost count, but one thing I can tell you is time after time, there's one thing you'll want after a long day on your feet - a comfortable place to sleep at the end of the night. On my first few camping trips we made the mistake of thinking we'd only be in the tent to sleep, so we went with the cheapest of everything, from the tents to the air beds, we got the cheapest of everything and it was sadly something we soon learned to be a mistake. Not only did the items need to be binned, but they also helped in giving me one of the worse sleeps I'd encountered! Our tent leaked with the heavy rain and the sleeping bag wasn't waterproof - I was so cold and wet I cried and vowed I would take the next train home! 4. Don't pack your best attire or footwear! No one is going to be taking serious note of the clothes and shoes you're wearing, so taking your best items is something you certainly won't need - unless you're happy with them potentially getting ruined! 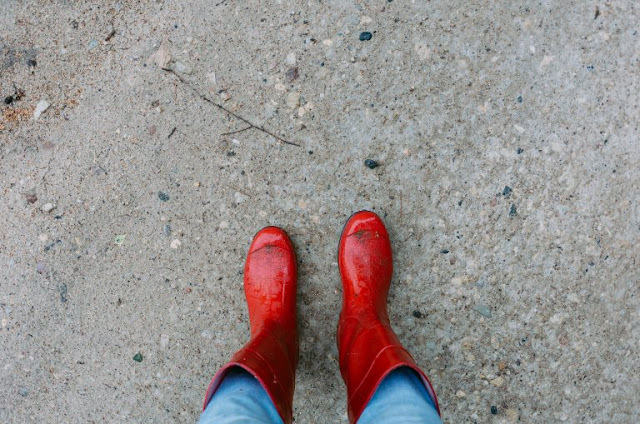 As I mentioned earlier in this post, when it's festival season it's usually rainy season too - even if the festival is during the official summer season, with rain and fields comes mud and LOTS of it! If I estimate that I've been to 50 festivals in the last 12 years, I can tell you that out of those times, there's only been five festivals I've not slipped or fell over at. You may want to use a launderette to wash your camping clothes after you return home too, I'm sure my washing machine packed up on me because of all the mud and dirt I'd fed it! 5. Go for the upgraded parking, toilets and showers! If you've ever used a bog standard toilet at a festival, I'm sure most of us would say that experience alone was enough to put us off festivals for life! If the festival you're attending gives you the option of paying for posh loos and shower blocks - BUY a pass immediately, it will be one of the best purchases of your weekend and one you will not regret - I promise! You may also want to check out the upgraded parking terms too, there's nothing worse than being hungry, and queuing for three hours to get out of a festival carpark once the weekend is over! Do you have any other tips you share to make a camping trip stress free and successful? I'd love to hear any you may have! You can leave a comment below or contact me via email or social media!